Just a quick news update for today. This is my most recent commission. 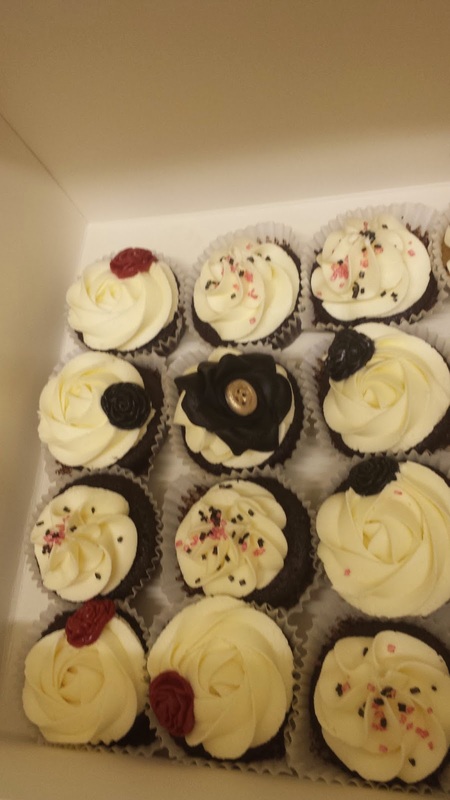 It is a replica of my client's bespoke wedding cupcakes. I knew the small rose was going to be incredibly tiny in miniature so I was going to make a mould for it. However it had to be only a few millimetres in diameter so I ended up sculpting them. In the end, the rose was a mere 3mm wide! It's definitely the smallest rose I had ever sculpted. I also updated the cupcake mould for 1:6 scale cupcakes so each cupcake is only 1.2cm tall (for the tallest cupcake). I had fun making miniature replicas although it was definitely more challenging. You can request any custom miniature sweets from us and we will always try our best to make a super scaled down version. Happy weekend and see you again soon!